Vitamigos is a fun, interactive experience that combines water purification and vitamins in a tasty beverage. Comprised of a cheerful pitcher and tablets, the system offers families an affordable and exciting alternative to sugary sodas. 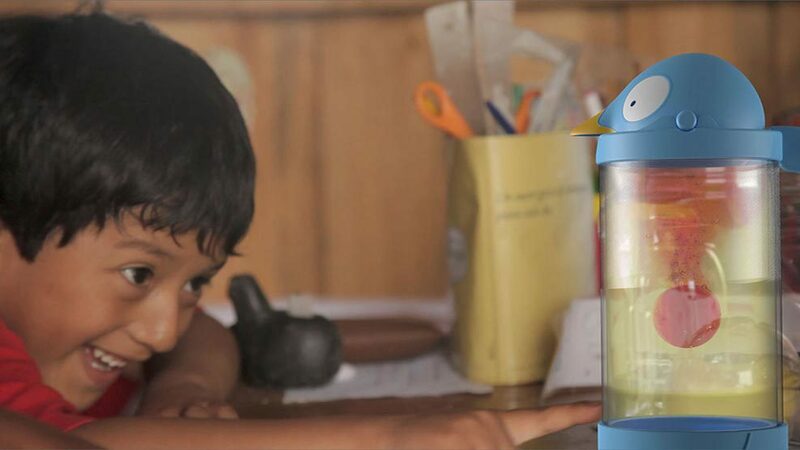 Vitamigos was co-created with families living in Peru’s slums as part of the Safe Agua Peru project, tasked with creating innovative design solutions to overcome water poverty. The project began with a ten-day intensive field research trip, hosted by the NGO Un Techo Para Mi Pais, where we worked directly with families living without access to basic services—including running water and sanitation—in Cerro Verde, a 30,000-person slum perched on the hillsides surrounding Lima, Peru. Information on the research behind Vitamigos can be viewed here.